Thats all. Game finished - Tottenham Hotspur 1, Manchester City 0. Second Half ended - Tottenham Hotspur 1, Manchester City 0. Missed chance. Fernandinho - Manchester City - shot with the head from the centre of the box goes high . Leroy Sané - Manchester City - won a free kick on the left wing. Offside - Manchester City. Fernandinho with a pass, however Gabriel Jesus is in offside. Victor Wanyama - Tottenham Hotspur - won a free kick in attack. Substitution - Manchester City. Kevin De Bruyne for David Silva. Substitution - Manchester City. Leroy Sané for Riyad Mahrez. Missed chance. Son Heung-Min - Tottenham Hotspur - shot with right foot from the right side of the box goes high. Assist - Christian Eriksen. Substitution - Tottenham Hotspur. Fernando Llorente for Dele Alli - injury. Offside - Manchester City. David Silva with a pass, however Gabriel Jesus is in offside. Substitution - Tottenham Hotspur. Victor Wanyama for Harry Winks. Goal! Tottenham Hotspur 1, Manchester City 0. Son Heung-Min - Tottenham Hotspur - shot with left foot from the right side of the box to the centre of the goal. Assist - Christian Eriksen. Delay in match Son Heung-Min - Tottenham Hotspur - - injury. Shot blocked. David Silva - Manchester City - shot with right foot from the centre of the box is blocked. Assist - Raheem Sterling. Missed chance. Gabriel Jesus - Manchester City - shot with the head from few metres goes high. Assist - Riyad Mahrez with a cross. Missed chance. Fabian Delph - Manchester City - shot with left foot from outside the box missed. Assist - David Silva. Gabriel Jesus - Manchester City - won a free kick in attack. Shot blocked. Dele Alli - Tottenham Hotspur - shot with right foot from outside the box is blocked. Assist - Moussa Sissoko. Fernandinho - Manchester City - won a free kick in defence. Offside - Manchester City. Raheem Sterling with a pass, however David Silva is in offside. Corner - Tottenham Hotspur. Conceded by Aymeric Laporte. Riyad Mahrez - Manchester City - receive yellow card for a foul. Substitution - Tottenham Hotspur. Lucas Moura for Harry Kane - injury. Raheem Sterling - Manchester City - won a free kick in defence. Delay in match Ederson - Manchester City - - injury. Harry Kane - Tottenham Hotspur - won a free kick on the left wing. New attacking attempt. Son Heung-Min - Tottenham Hotspur - shot with right foot from the right side of the box is saved in the left corner. Assist - Harry Kane. Shot blocked. Riyad Mahrez - Manchester City - shot with left foot from the centre of the box is blocked. Corner - Manchester City. Conceded by Dele Alli. Missed chance. Son Heung-Min - Tottenham Hotspur - shot with left foot from outside the box is close, but missed to the left. Assist - Kieran Trippier with a head. New attacking attempt. Raheem Sterling - Manchester City - shot with left foot from the left side of the box is saved by goalkeeper in the centre of the goal. Assist - Sergio Agüero. Second Half starts Tottenham Hotspur 0, Manchester City 0. First Half ended - Tottenham Hotspur 0, Manchester City 0. Missed chance. Sergio Agüero - Manchester City - shot with right foot from the right side of the box is close, but missed. Assist - Riyad Mahrez following a fast break. Corner - Tottenham Hotspur. Conceded by Riyad Mahrez. New attacking attempt. Danny Rose - Tottenham Hotspur - shot with left foot from outside the box is saved in the left corner. Son Heung-Min - Tottenham Hotspur - won a free kick in attack. Harry Kane - Tottenham Hotspur - won a free kick in defence. Missed chance. Sergio Agüero - Manchester City - shot with right foot from outside the box missed to the left. Assist - Fernandinho. Offside - Tottenham Hotspur. Toby Alderweireld with a pass, however Son Heung-Min is in offside. Shot blocked. Toby Alderweireld - Tottenham Hotspur - shot with left foot from the left side of the box is blocked. Shot blocked. Christian Eriksen - Tottenham Hotspur - shot with right foot from outside the box is blocked. Harry Kane - Tottenham Hotspur - won a free kick in attack. Missed chance. Harry Kane - Tottenham Hotspur - shot with the head from the centre of the box missed to the left. Assist - Kieran Trippier with a cross. Christian Eriksen - Tottenham Hotspur - won a free kick in defence. 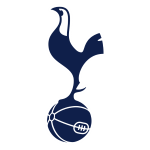 Delay in match Kieran Trippier - Tottenham Hotspur - - injury. Offside - Manchester City. Ilkay Gündogan with a pass, however Nicolás Otamendi is in offside. Riyad Mahrez - Manchester City - won a free kick on the right wing. Corner - Tottenham Hotspur. Conceded by Kyle Walker. Missed chance. Harry Winks - Tottenham Hotspur - shot with right foot from outside the box is high and wide to the left . 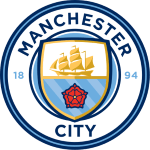 Aymeric Laporte - Manchester City - receive yellow card for a foul. Dele Alli - Tottenham Hotspur - won a free kick on the right wing. New attacking attempt. Harry Kane - Tottenham Hotspur - shot with right foot from the left side of the box is saved in the right corner. Assist - Christian Eriksen. Penalty saved! Sergio Agüero - Manchester City - fails to capitalise on this great opportunity, shot with right foot saved in the right corner. Danny Rose - Tottenham Hotspur - receive yellow card for hand ball. Penalty conceded by Danny Rose - Tottenham Hotspur - with a hand ball in the penalty area. Shot blocked. Raheem Sterling - Manchester City - shot with right foot from the centre of the box is blocked. Assist - Ilkay Gündogan. Missed chance. Dele Alli - Tottenham Hotspur - shot with right foot from the centre of the box goes high. Assist - Moussa Sissoko. Offside - Tottenham Hotspur. Toby Alderweireld with a pass, however Christian Eriksen is in offside. Get real-time football commentaries and full coverage for the Champions League match Tottenham Hotspur vs. Manchester City, powered by Scorenga.co.uk. This page is dedicated to one of the most exciting Champions League clashes. Here you will find a summary of the game, standings and photos.